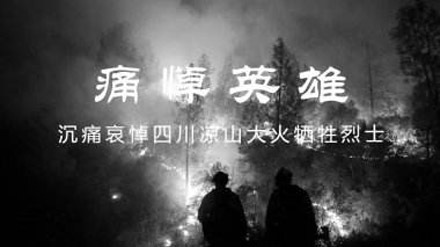 On the evening of March 30th, 2019, the forest fire brought by the thunder and the lightening wrought havoc in Muli county, Liangshan, Sichuan. The fire point was in the mountain with an altitude of 3800 meters. The local landform is complicated, and the traffic and the communication is inconvenient. 689 fire fighters carried out the fire fighting on that day. In the afternoon of the next day, on the way to the next fire ground, a sudden change of wind direction instantly formed a huge fireball and a change of direction, firefighters at the scene tried to escape the danger, but 30 of them was lost, including 27 firefighters and 3 locals. May all deceased rest in peace, the living be strong. To carry on the career guarded by the their lives is the best way to commemorate the valiant. In the special fields such as fire fighting, chemical, petroleum etc., the workers must pay more attention to the fire disaster. To wear the workwear made of good flame retardant fabric is the normal way to comprehensively protect the workers. The flame retardant fabric with special function produced by Xinxiang Yulong Textile Co., Ltd is difficult to ignite and extinguished after being away from fire, which is applied to the work place with the open flame, spark, or flammable substance. The flame retardant fabric with the maximum safety factor can be used to process the accessories of flame retardant uniform wore by the fire fighters, which not only can prevent the fire and extinguish after being away from the fire, but also can keep its thickness in the high temperature and flame of fire ground, thus providing the flame retardant protection for the fire fighters. Meanwhile, the flame retardant fabric of Yulong is not easy to conduct the heat which can further reduce the effect of high temperature caused to the workers in the special fields. The tragedy of Muli fire disaster and the sacrifice of 30 fire fighters reminds us of the importance of prevention of fire disaster. Yulong pays our respect to all firefighters again. As the professional manufacture of flame retardant fabric and workwear, for keeping the production safety in mind, Yulong will continuously devote ourselves in researching and developing, producing the product with higher protection and safety factor, thus providing more comprehensive protection for the lives of the workers in the special fields.